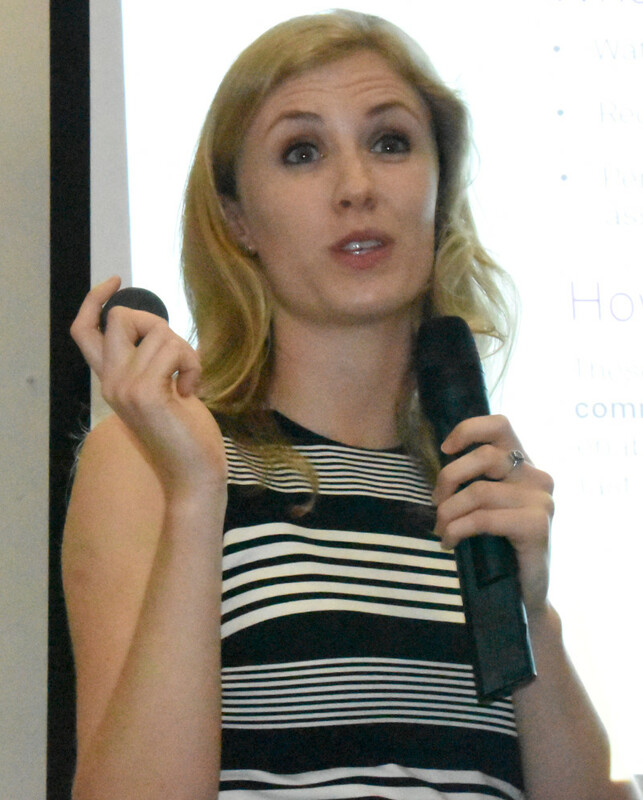 Tonight Kate Jordan, Telstra's IoT Product Manager dropped by with details of the new Telstra Locator service. Was here to help us locate them all using the new Telstra Locator tag system; well maybe not the bosses name. 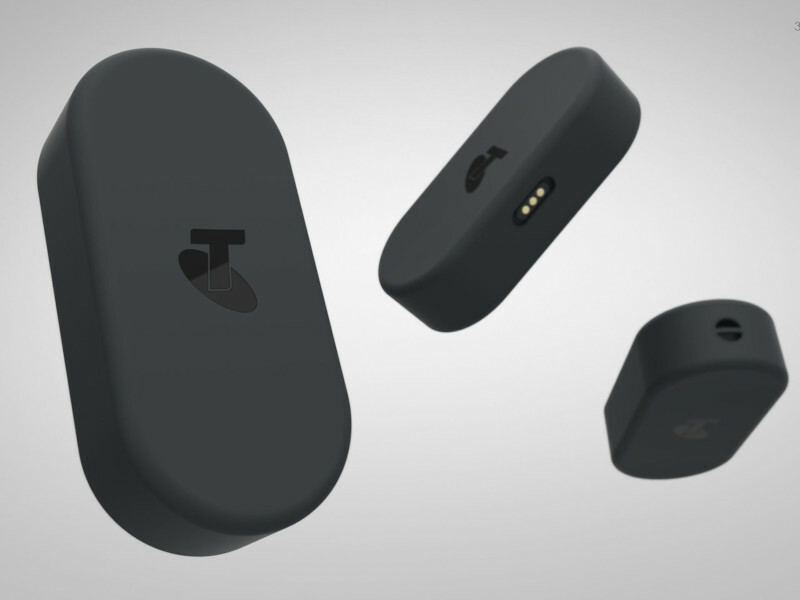 Telstra Locator is a soon to be released subscription service to help locate lost items. We started with this video about just what Telstra Locator is all about. There are three components to the service, the tags, the app and the network connection. Kate then took us through the major components of the service starting with the tags. The tags are really the heart of the system. The service works by attaching the tags to an item, the tag signals its location to the network, the network then tells the app where the tag is. There are three tags starting with a Bluetooth tag. It’s a small round button tag and has a simple replaceable coin battery which lasts around a year. 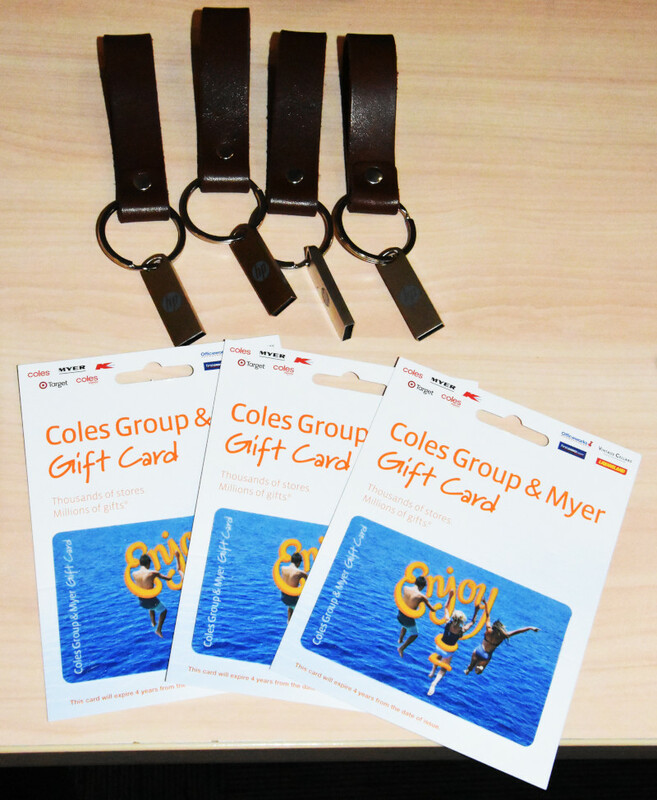 You hang it on the keyring, place it in a purse or wallet or attach it to your luggage. 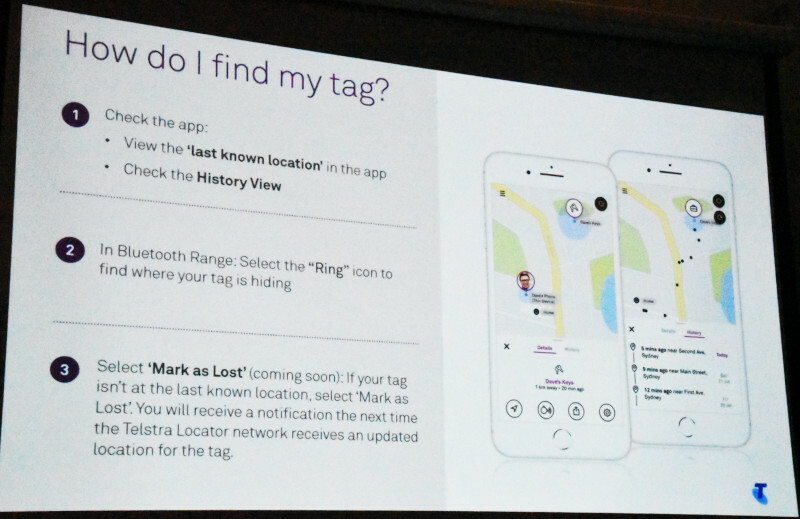 The tag has a range of about 30 metres and when your phone is within the range the app will “find” the tag and therefore the item it’s attached to. So if you are at home and can’t find the keys you can use the app to ”ring” the keys and hear where you left them. We then looked at the Wi-Fi tag. This one is a larger round tag and is more robust. 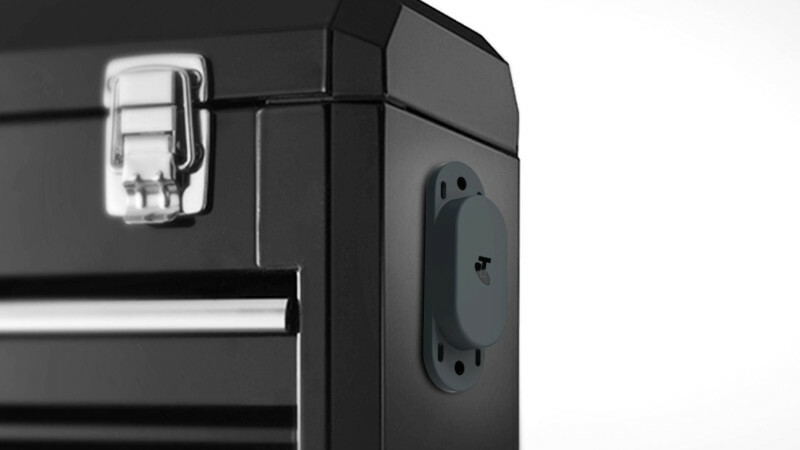 It’s rechargeable and is designed to be attached to items like bikes. 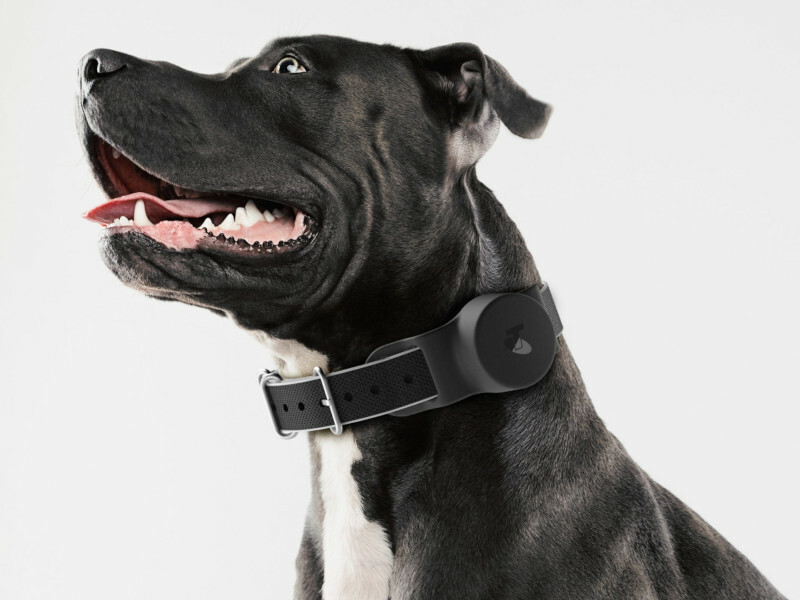 There’s even a collar for your dog. It’s water resistant and shockproof. The battery should last around 6 weeks before needing a recharge. 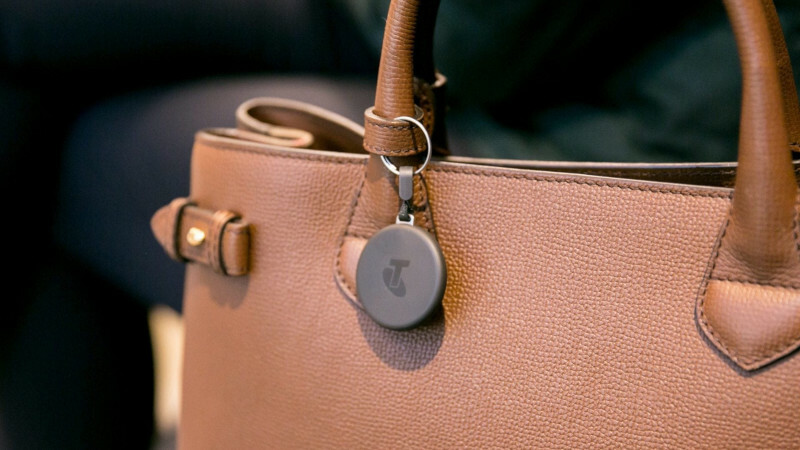 This tag will connect with Bluetooth and also use the Telstra Air Wi-Fi network. The third tag, yet to be released is the LTE using the Cat M1 IoT technology. This means it has an antenna inside which connects to the mobile phone network. It’s not a simple locator tag like the other two we had just looked at. This tag is for the high end loss prevention. The example was an expensive tool set where you not only needed to find your tool box but track its location. 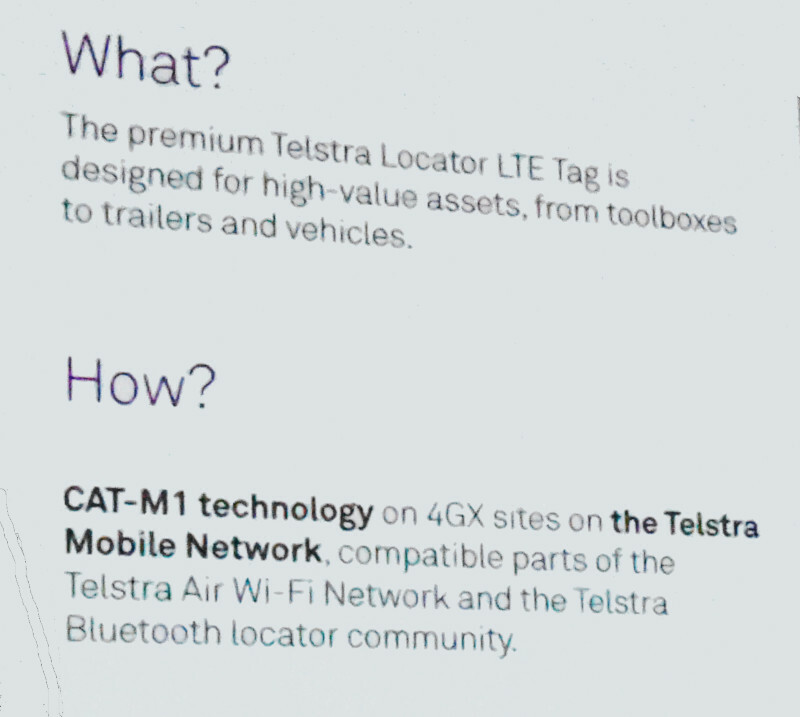 The LTE is connected to the Telstra 4G network and has an accelerometer which will show that the tag is in motion. So, you know you have a problem if your onsite but your tool box is walking into the local pub. We then moved on to the app. 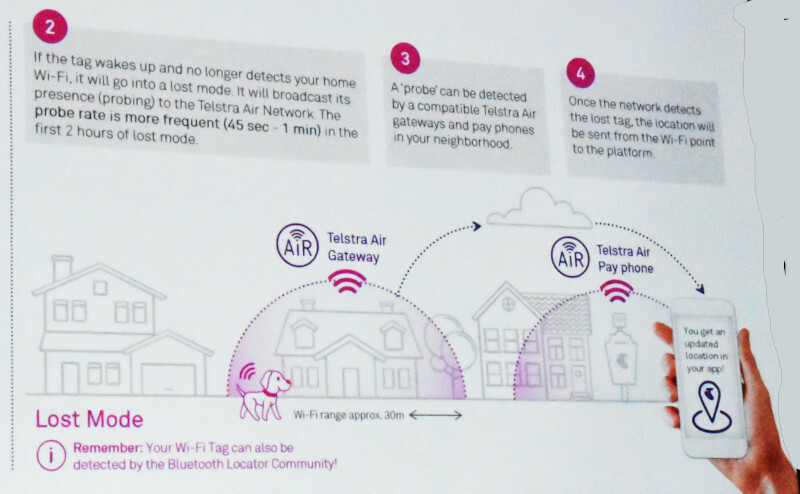 This is being developed “in house” by Telstra. Telstra often develops products in collaboration with others. In this case they realised that no one had anything like it so this app is being designed from the ground up. When you open the app the first view is the location of the tags. If the tags are within the Bluetooth range e.g. inside the house, you will get a real time update of their location. You can connect the app to your existing home Wi-Fi network to increase the range and create what Kate called a “geo-zone” around your home. The other function of the geo-zone is to alert you if any of the tags leave the zone. So, if Rover the dog goes for an unscheduled walk to see the new cat two doors down the app will give you a heads up. The app even allows you to ring the tag. If you can’t find the keys but the app indicates they’re in the house then you can ring the keys and get an audio indication of their location. Now if you have really lost the keys or the wallet eg left them at the coffee shop the app will show you their location. If you can’t find them at that location you can ask the app for a “Mark as lost” and the app will notify you when the tag is next located. That location is found because the tags have access to the Telstra network, Kate went into some detail on the operation. 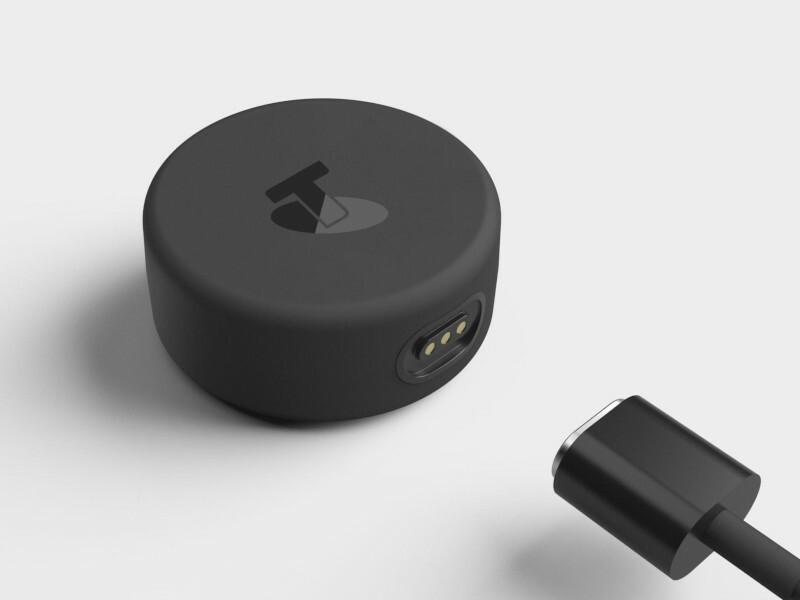 When one thinks of a mobile network they think of hardware like antennas and towers but Telstra has enlisted its customers help by using the Bluetooth and Wi-F on their smartphones. Those customers who join in will form a community using the existing 24/7 app by utilising the Bluetooth and Wi-Fi on their phones. The 24/7 app was primarily designed to allow Telstra customers to manage their accounts, pay bills, manage data and phone usage and to contact Telstra services. Telstra will add a new service called “Device Locator” which lets people opt in to the Locator network. This allows your phone or private Telstra network to pick up if a tag is in range. It then anonymously transmits the location to the network. You may have seen this symbol on payphones around your area, it indicates that the payphone is part of the Telstra Wi-Fi network when the Air network is added to the Locator network it can generate a wide coverage. It is really simple, as Rover runs past the Air Payphone the tag pings the network, as he passes the coffee shop the customers Telstra mobile gets a ping. The network identity’s the tags “owner” and you get a new location update. At no time do you know about who's phone received the ping. Telstra is working with authorities to make sure that there are not privacy problems. Kate spoke about how the service is designed to track the “thing” not the person. 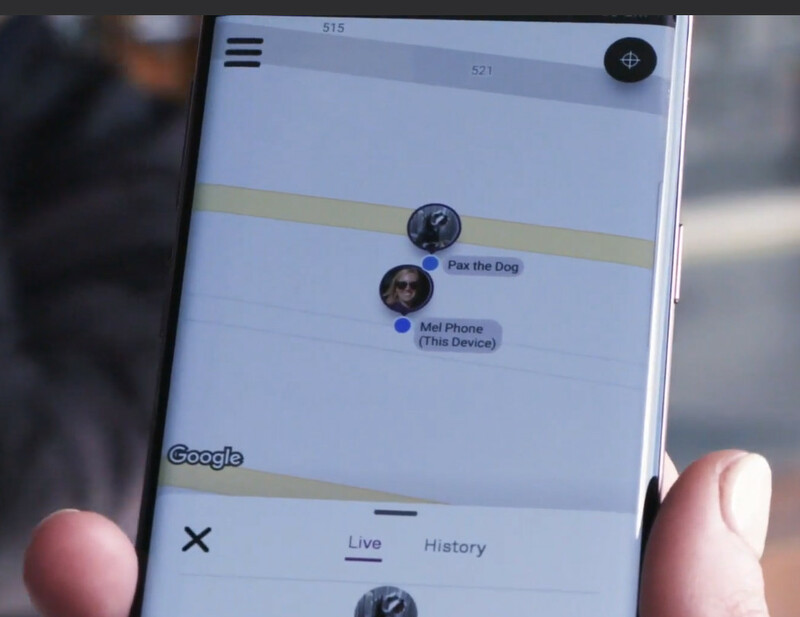 So, if you have opted into the locator network you get a reminder, a sort of “Hi, are you still OK to be in the Locator system?” That also means no one can add your phone to the locator network without you knowing. In cases of domestic violence, that should stop people stalking their partner. The 24/7 app will also have a Bluetooth scanner added to it. That will allow the user to scan the area for any Bluetooth tags. One example Kate gave being in a shop and someone loses their bag. If they have a tag you can scan the area to locate it. On a more sinister note if someone slips a tag in your handbag you will know it’s there so they can’t follow you home. The scanner will be available to all regardless of you having a Locator subscription. Returning to the tags. The Bluetooth tag and the Wi-Fi Tag both send out a pulse and if it’s inside the home eg it finds the homes Wi-Fi network it goes “back to sleep”. If it finds it’s outside the network it thinks “I‘am lost” and it activates and sends a signal so it can be located. As the “lost” tag moves into a Telstra Air gateway or a customer who has joined the network, it sends a ping which updates the locator platform about the new location. The LTE will open possibilities for even closer tracking such as logistics management so companies will have not just location updates but data on travel times and route variations. This article from Telstra crowd support gives a great rundown on what to expect. and here is a Telstra Exchange article by their head of Innovation & Strategy. If you are a Telstra customer you can register your interest here. 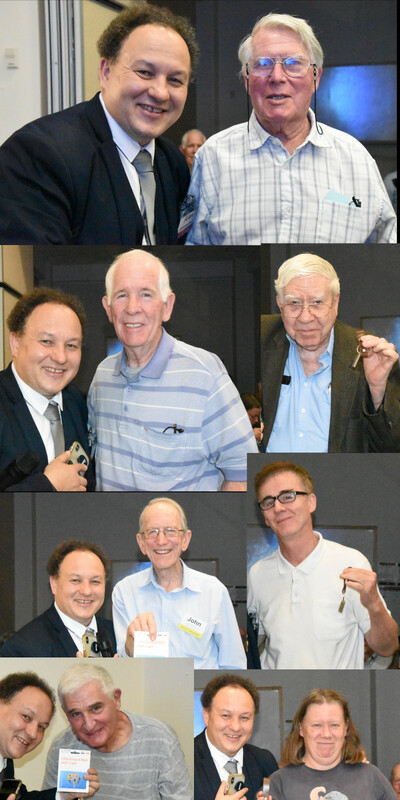 This month we had some great USB keys and some great gift cards. Sydney PC User Group Inc. © 2008 Last updated: Wed. 12 Dec. 2018.